When you are looking for a studio that fits your needs while you are in Chicago, the search ends at the Park View. When you retire to your space, you'll appreciate the high quality appliances, spacious layout, and hardwood floors; the perfect backdrop to your personal design touches. Enjoy the large closets, breathtaking views, comfortable seating, and queen sized bed. The Park View is convenient, comfortable, and professionally managed. 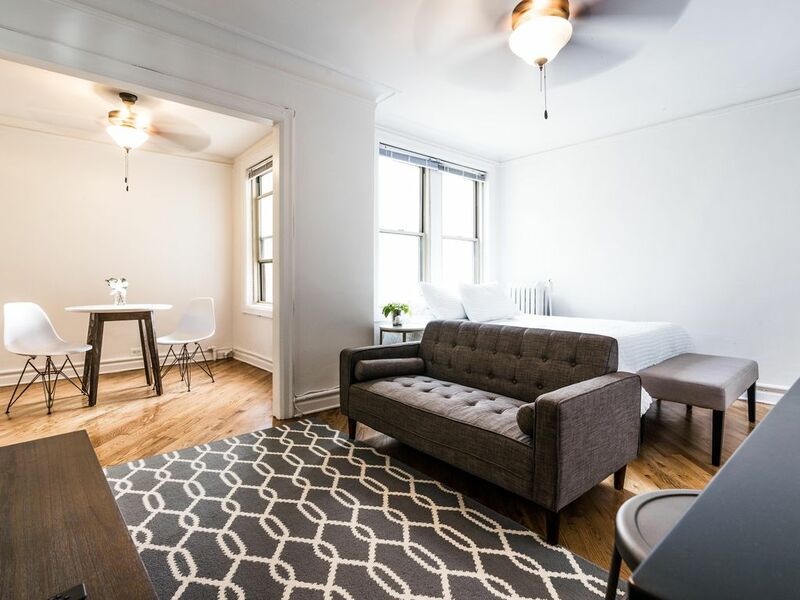 Located on the Near North Side of one of America's most fascinating cities, historically, architecturally, and culturally, the Park View provides easy access to a thriving neighborhood, Lake Michigan, and downtown Chicago. You can also step across into Lincoln Park, visit the zoo, and witness one of the most iconic views of the Chicago skyline. Our community is within walking distance, you'll experience a diverse array of restaurants, boutiques, seasonal farmers market, and coffee shops available daily. Seasonally, enjoy an annual art fair or the water and air show over Lake Michigan, or spend time on North Beach no matter what the weather. Hopping into downtown couldn't be easier. Grab a Divvy bike and explore the lakefront bike paths to Navy Pier, snap a selfie at Oak Street Beach, or watch your 2016 World Series Champions, the Chicago Cubs, at the friendly confines of Wrigley Field. Park View is a splendid apartment community in Downtown Chicago connected to the best our city has to offer.